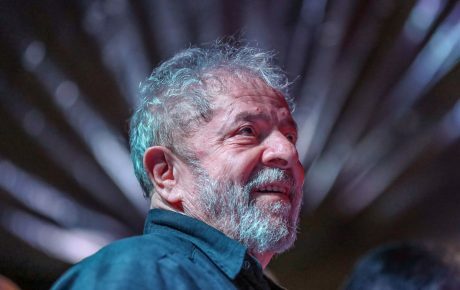 As Prosecutor General Raquel Dodge has pointed out, Lula’s case in the Supreme Court is among “the most notorious and consequential trials” ever witnessed by the Brazilian Republic. The 11 justices will decide whether or not Brazil’s most popular leader – and the 2018 presidential election frontrunner – should go to jail. 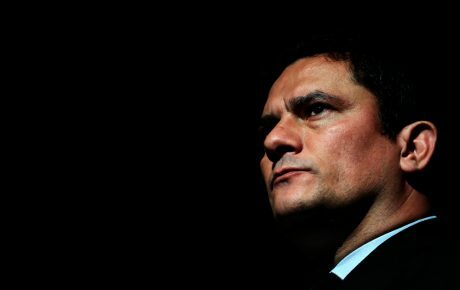 The case – as is the case currently with any political topic – has greatly divided Brazilians. 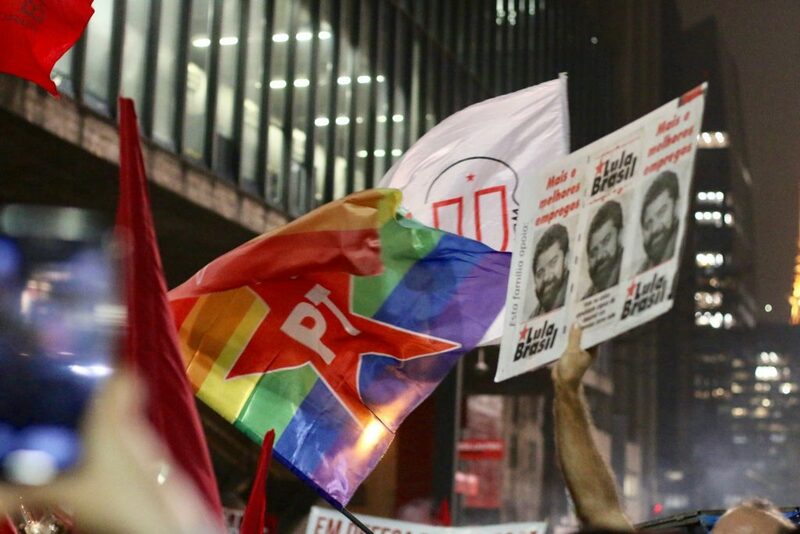 Pro- and anti-Lula demonstrations erupted across over 100 cities and four countries yesterday. Both sides want to put pressure on the justices, who have already proven over the years that they are susceptible to outside noise. 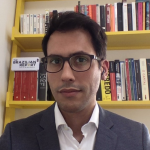 “Right now, it seems that Brazil is made up of 200 million law experts. Everybody wants to talk about jurisprudence, presumption of innocence, and the rule of law,” Justice Gilmar Mendes said earlier this week. Disregarding the irony and condescension of the remark, Mendes does have a point. Defenders of both Lula’s arrest or the suspension of his sentence seem to regard this issue without any nuance. 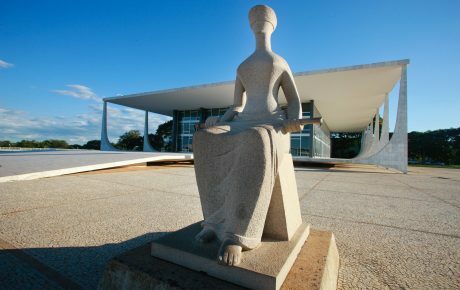 Lula supporters see themselves as the sole protectors of the Constitution, which supports the presumption of innocence until all appeals have been exhausted. Meanwhile, his detractors portray themselves as the only group disgusted by the levels of impunity for white-collar crimes. The truth, as is often the case, is far more complicated than that. Both sides in this case defend their stances with valid points – but their reasoning relies on selective interpretations of the law. Demonstration in support of Lula, July 2017. Alright, but the Constitution doesn’t literally prohibit an arrest before all appeals have been exhausted. The same article that stipulates someone will be considered “guilty” only after a final conviction also mentions “arresting” the defendant. Those who want to see the former president behind bars are also guilty of oversimplifying this complex matter. Yes, the Constitution allows an arrest to occur – yet it doesn’t say that an arrest is the only outcome of a conviction in a court of appeals. Not even implicitly. 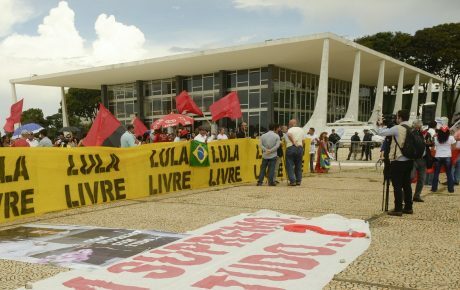 Many anti-Lula protesters also cite several examples of countries, like the U.S., where convicted felons head straight to prison even before the first appeal. However, they are missing one small detail: Brazil is not ruled by those countries’ legal systems. If Brazilians believe our system is not good, then they must push congressmen to make changes. The problem with the debate surrounding Lula’s case is that both sides cherry-pick parts of the law to prove their point. The Constitution is purposely vague on many points, and that is precisely to allow Congress some space to legislate, and the Supreme Court some room for interpretation. And let us remember, the Supreme Court itself has pivoted on the issue multiple times. Until 2010, the understanding of the law was that a conviction confirmed by an appellate court would result in the arrest of the defendant. He or she would have to carry out the appeal process from behind bars. In 2010, however, the Supreme Court decided that the presumption of innocence meant, necessarily, that the defendant would remain free. That interpretation lasted for six years, when the Supreme Court once again radically altered its understanding of the law. And today it could pivot yet again – a third time in less than a decade. Regardless of the outcome, however, one thing remains certain: a huge percentage of Brazil’s population will be furious.